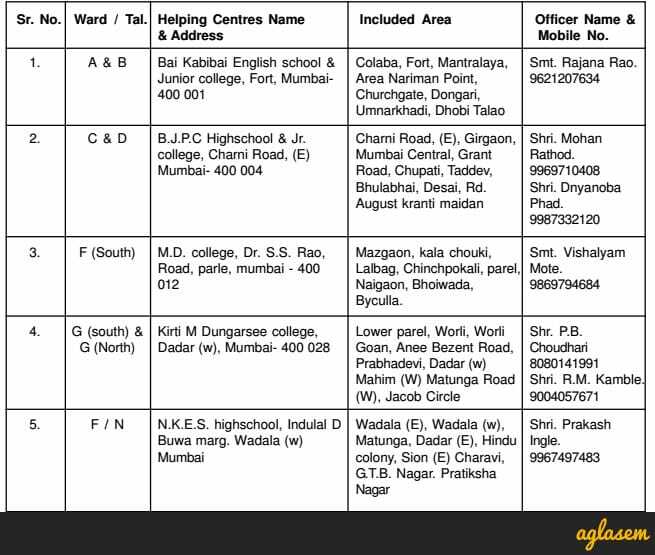 FYJC Online Admission 2018-19 Mumbai is coordinated by School Education Department. Mumbai 11th Admission 2018 has been started at the official website. 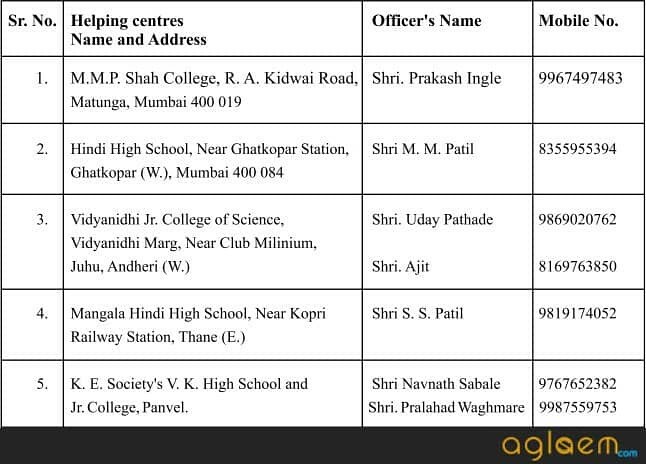 First of all, students must apply if they are eligible for admission to FYJC classes to higher secondary schools or junior colleges that are affiliated to MSBSHSE in Mumbai Metropolitan Region. 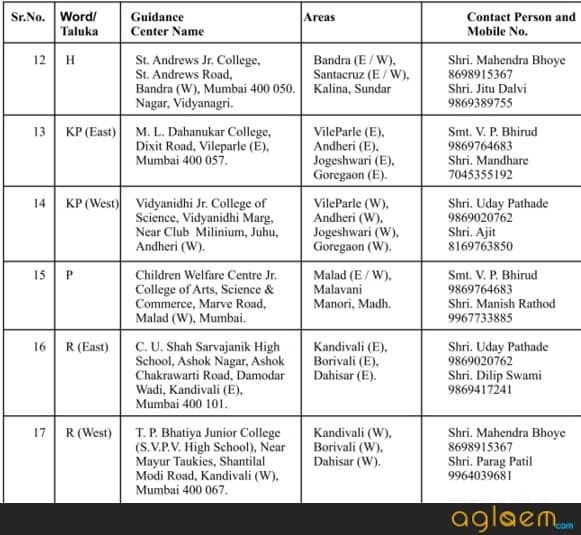 FYJC Mumbai Online Admission Form is at mumbai.11thadmission.net which must be filled carefully. Latest: The schedule & vacancy for FCFS round 4 has been released. Candidates can check the same from below. Participating in FYJC Online Admission 2018-19 Mumbai is important for first year junior college admission in Mumbai to any of the four streams namely Arts, Science, Commerce, HSVC (MCVC). Junior colleges are co-ed, boys, and girls where medium of instructions vary from Marathi, English, Hindi, Urdu, Gujarati. 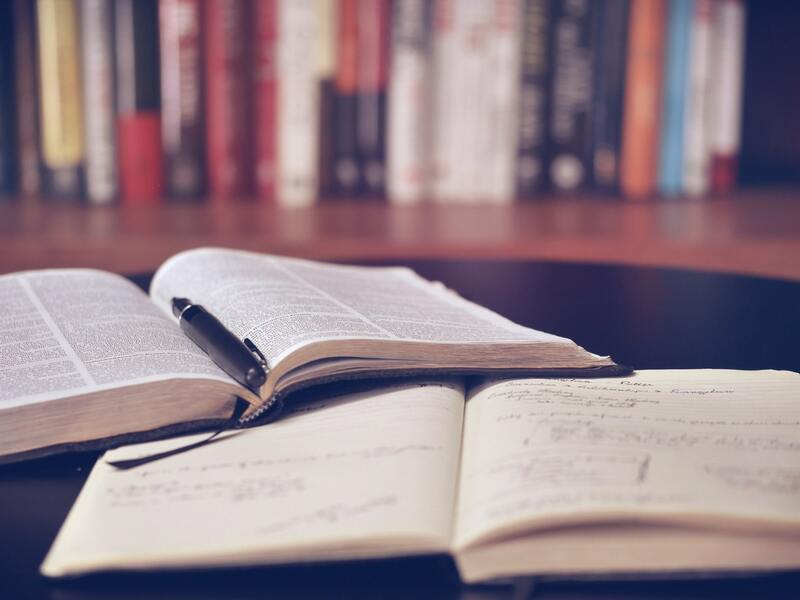 Everything you need to know about FYJC Mumbai Admission 2018-19 including application form, merit list, dates, eligibility, cut offs are given here. Since the year 1997-98, admission has been done to first year junior college in Mumbai. From 2009-10 the process has become online. After passing SSC or equivalent examination you need to partake in online admission to get admission to First Year Junior College. 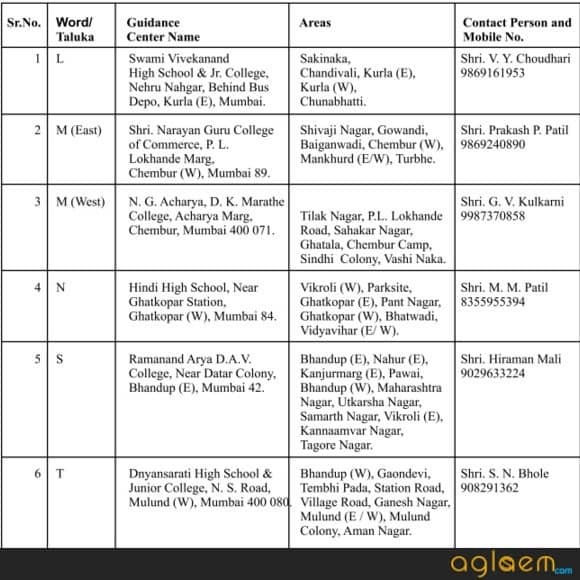 Through this, you will get admission in one of the junior colleges in Mumbai Metropolitan Region. 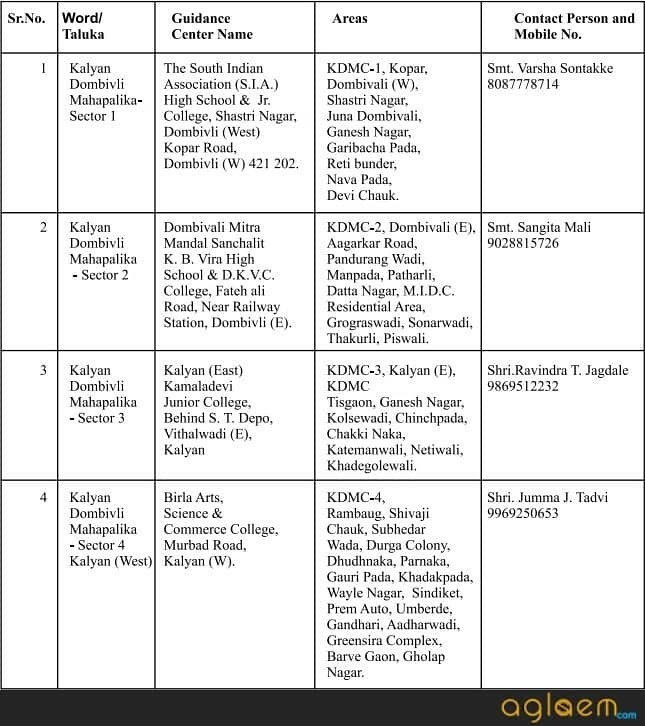 FYJC Mumbai | Pune | Nagpur | Nashik | Aurangabad | Amravati Admission 2018-19. Login: Click Here for Student Login. Vacancy: Click Here to check the vacancy for FCFS Round 4. Note: Dear student, Kindly login and click on “Proceed for admission button”, if you wish to take admission in college allotted to you and then proceed to allotted college for admission in that college even if you click on “Proceed for admission button”. There is online application form for students seeking Mumbai 11th Admission 2018. Applicants save time and money by being part of online admission process. The merit category and order of preferences you fill in FYJC Online Admission Form 2018-19 will determine admission. Fill all parts of application form on time. Start with Part I registration form. Here you will fill details such as school area, status, board, 10th standard or equivalent examination details, address for correspondence, reservation. At end of form you will see “Success! You have successfully submitted your form but is not approved Please visit Guidance Centre for approval purpose”. Then fill Part II registration form. Here you will enter marks obtained in 10th class exam, stream, order of preferences. FYJC Online Admission 2018-19 Form Part 1 – You will fill this only once to apply to anyone stream out of Arts, Science, Commerce, Technical and HSVC. FYJC Online Admission 2018-19 Form Part 2 – Here, if necessary, you can change stream and preferences for each round. You can give minimum 1 and maximum 10 preferences. The fee amount is Rs 250 for Mumbai, other divisions it will be 150 that covers cost of booklet including Login ID as processing fee of Std. XI online admission process. 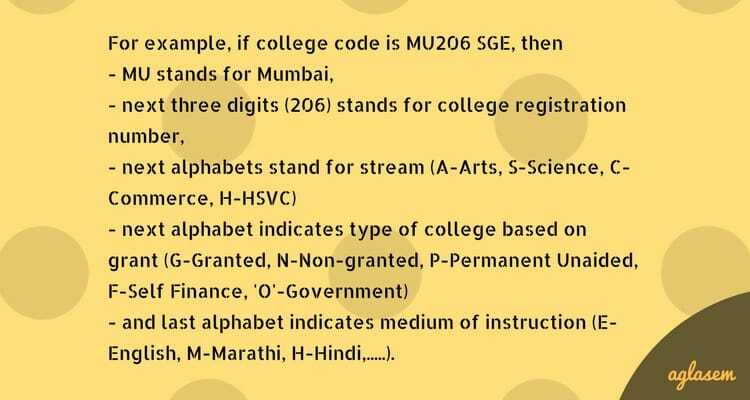 Higher secondary school / junior Colleges are identified by a unique code number depending on stream, type, set, medium of instruction. They may therefore be given more than one code number. The college code is of eight characters which is combination of alpha-numerical. 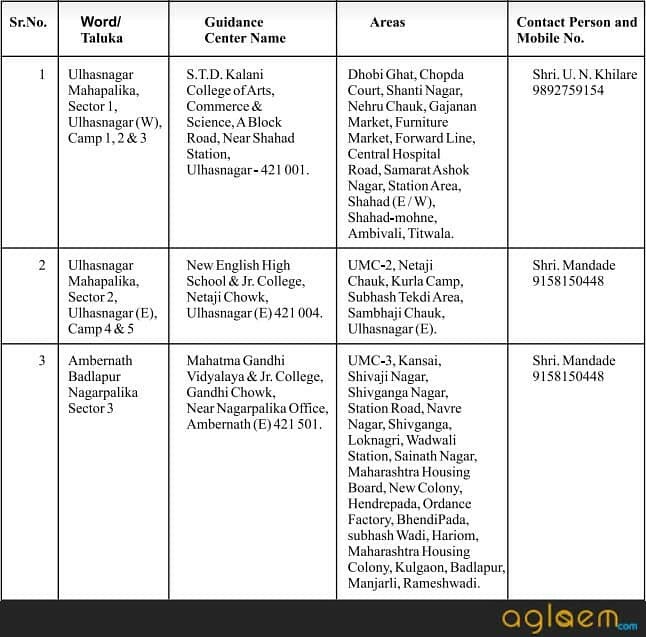 These will be done respective higher Secondary school or junior college. It will also be a online process. 25 % seats of bifocal subjects and HSVC are reserved for students passing class 10 with subjects V1, V2, V3 or vocational course under NSQF of RMSA. Rest 75% will be as per applicable rules. 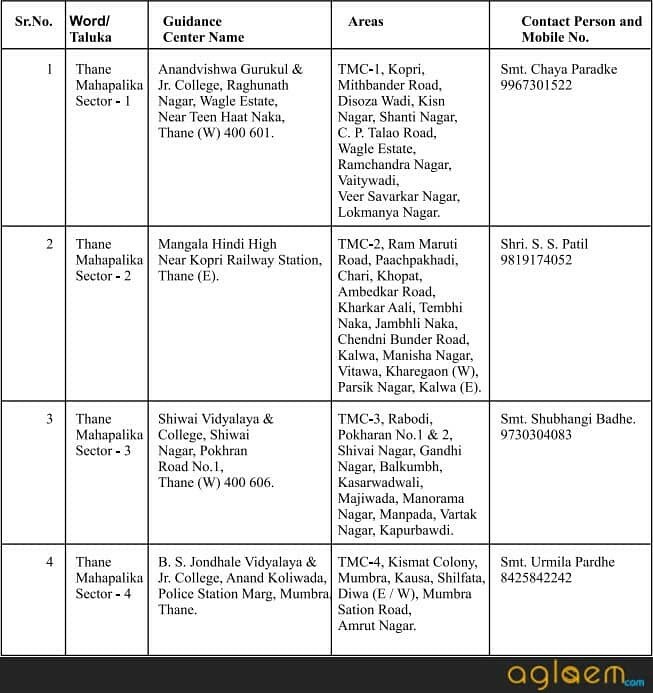 They are eligible to apply for centralised admission process for Arts, Science and Commerce stream. However, students can take Level 3 vocational subject from the same school where he was completed Level 2 or any junior college or Higher Secondary School where level 3 is available and taught, this can be availed to concerned students. No student shall be admitted under any quota (minority, in- house, management quota or udner 25% reserved seats for Bifocal subject or HSVC stream) without registration number (Longin ID) of the applicant. ATKT is applicable to such students who are from Maharashtra SSC board and appeared in one attempt with all subjects, and failed in only two subjects in March / July 2017 examination. You must have passed class 10 or SSC or equivalent exam with English as one of the subjects. If you are looking for admission to bifocal subjects then you must not have opted for General Mathematics in class 10. For science admission in FYJC Mumbai, you should have passed class 10 with science, minimum 35%. Reserved category candidates need to have caste certificate against reservation claimed. If you are applying under special reservation such as sports, art and culture, wards of employees of state govt or central govt or private sector coming on transfer in MMR on or after Oct 1, wards of servicemen and ex-servicemen, wards of freedom fighters, handicapped, project affected, earthquake affected, then you must have original documents for that. Constitutional reservation is applicable to only Maharashtra domicile students. For complete information on FYJC Mumbai Admission 2018-19, download information brochure.